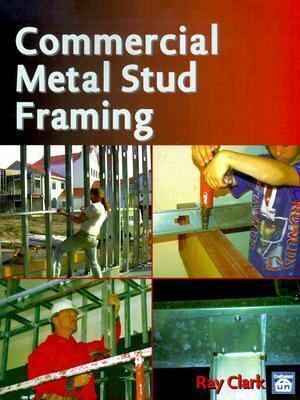 With this new book you'll quickly learn, step-by-step, the basic methods (and some valuable tricks of the trade) to master high-speed metal stud framing in commercial construction. If you're an experienced wood framer, you already have many of the skills you'll need. This manual, written by a framer who runs work for one of the largest metal stud contractors in the country, tells you just about everything you need to know to transfer those skills to metal stud framing in commercial buildings.Clark, Ray is the author of 'Commercial Metal Stud Framing' with ISBN 9781572180796 and ISBN 157218079X. Loading marketplace prices 3 copies from $142.84 How does the rental process work?